If you want to learn more about our safety policies, please click here.Stock colors Our stock colors are the available range of colors for those particular models that are marked with SC. If you would like other colors, this can be arranged. 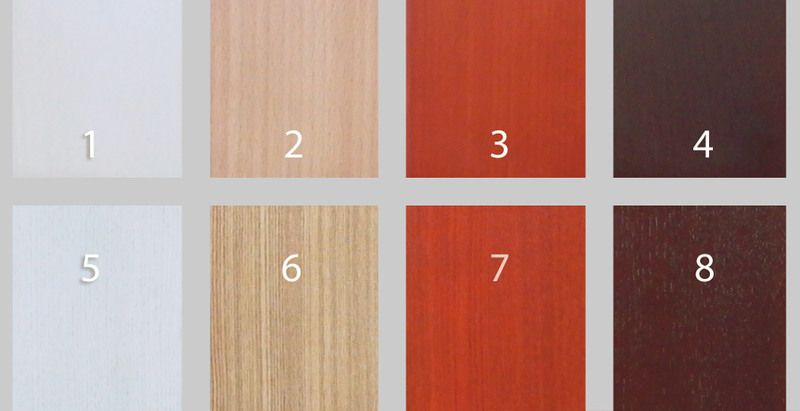 Colors 1 through 6 are water based stains. The wood structure is still partially visible. This finish allows for easy maintenance with an unique character. Colors 7 through 12 are water based paints. They feature more intense colors with a sleeker outlook. The Macbetch® color rendition card has been added in an attempt to show colors as genuinely as possible on this website. 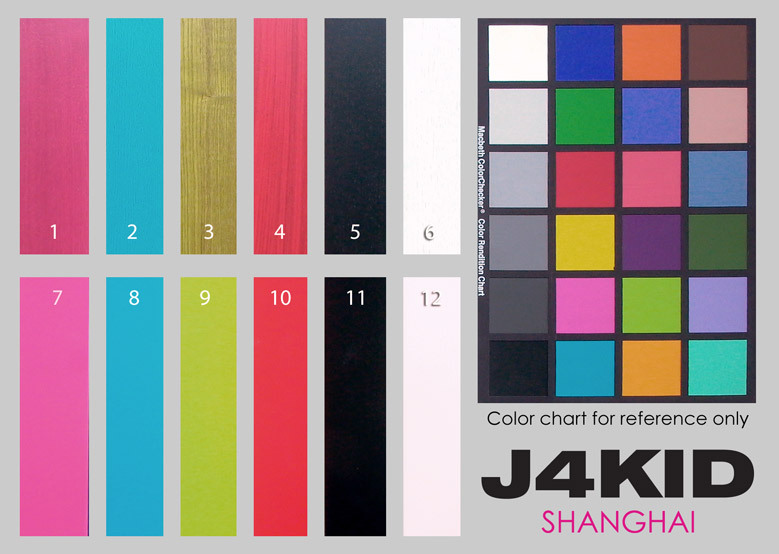 > Picture: Click to have a full view of J4KID color chart.